베로나, 이탈리아의 B&B 리 레아 | 호스텔월드에서 예약하세요. 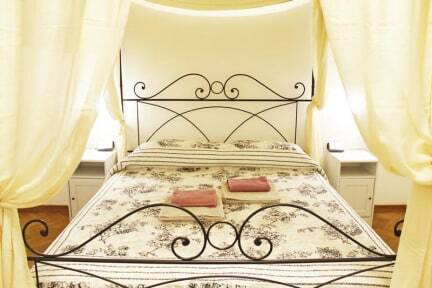 B&B Re Lear is composed of 2 spacious double rooms and 1 triple room, 2 shared bathroom and a full equipped kitchen. Self service breakfast is available with coffee, teas, milk, juices, bread, cookies, croissants, jams, nutella, butter, yogurts, cheese and wurstel ecc. Teas and coffees are available all day long. WiFi connection is free in all the B&B. You will get the keys so you will be free to come and go anytime. 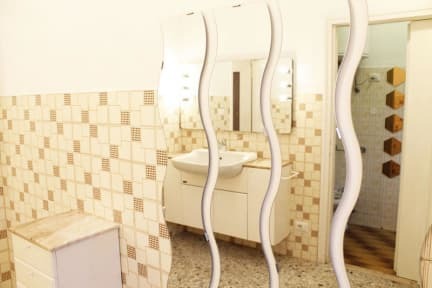 Free luggage storage.For the last but not least, there is me Nicol to welcome you in my home and to give you all the information you need in order to explore Verona as much as you can. I wish you the most pleasant and magic stay you can have in my wonderful city.. Verona! Please please please let me know your arrival time as precise as possible, by email or by phone.EARLY ARRIVALS: before 11.00 AM, only on agreement. We are not here before 11 AM so we cannot open the door!